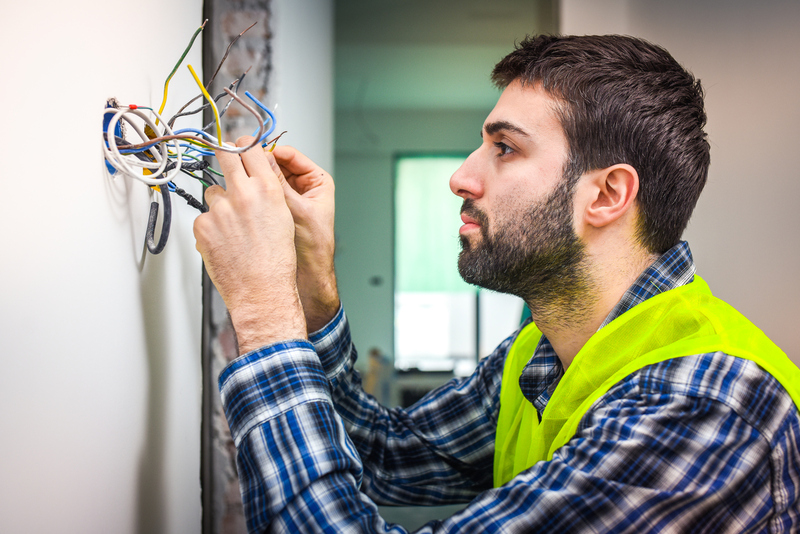 Home → Blog → What is an Electrical Safety Inspection? As a homeowner, the word “inspection” quickly becomes one of the most terrifying words in the English Dictionary. Inspection means that hidden issues have the potential of being found and unexpected costs could arise. Yet, as scary as inspections are due to the amount of money they can cost and the number of unknown costs they can uncover, they can also help to save a lot of money too! A well-timed inspection can help to find serious issues before they cause serious damage. One of the most common inspections for a home is an electrical safety inspection. If you are wondering what exactly an electrical safety inspection is, you are in luck because today we have that answer for you! An electrical safety inspection is a detailed inspection of a home’s electrical system. Many times, electrical safety inspections are performed before a family purchases a home or right after a family purchases a home. They are also performed when a home is undergoing an extensive construction project, or if the home has demonstrated recent electrical issues. Electrical safety inspections vary in price. The size and age of your home play a role in determining the price of your electrical safety inspection. Typically, however, electricians can cost anywhere from $75-$200 per hour to hire and you should base your cost estimate around those figures. The outcomes of electrical safety inspections are different for everyone. Just because you have an old house doesn’t mean you will fail your electrical safety inspection. And, just because you have a new house doesn’t mean you will automatically pass. The results of an electrical safety inspection are based upon how previous electrical work was done in the home and how well it was maintained and kept up to code. If previous homeowners were very diligent in repairing the electrical system, it is likely you will pass. However, if the previous homeowners were into quick fixes and DIY electrical projects you may have a problem on your hands. To review the electrical systems in your home and make sure they are safe for your family, just call 410-SAMEDAY today! We can’t wait to come out and help you!